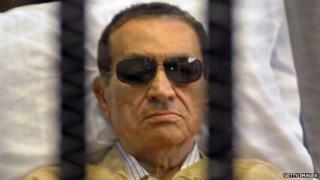 The former Egyptian President Hosni Mubarak will face a new trial over the deaths of protesters in the capital Cairo. He was jailed for life after hundreds of people were killed during mass protests nearly 2 years ago. Thousands of protesters took to the streets, angry at how Mubarak had run the country for the past 30 years. But he always insisted he had nothing to do with the deaths, and now a court's agreed to hold a fresh trial. Last summer, Egypt's first free elections for decades saw Mohammed Morsi voted in as its new leader.